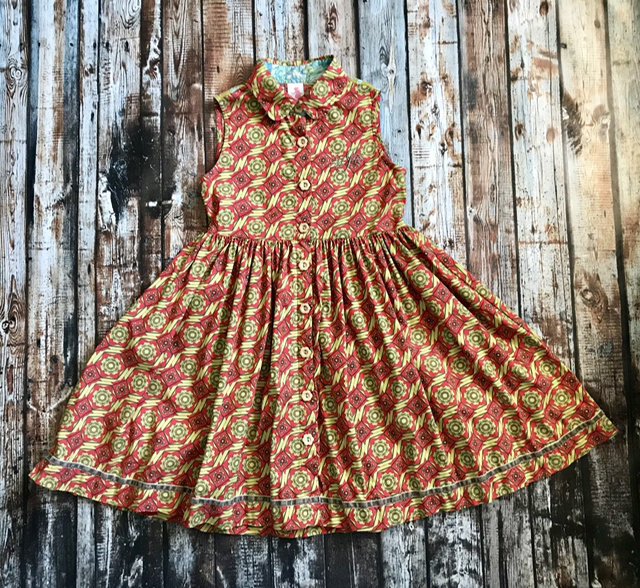 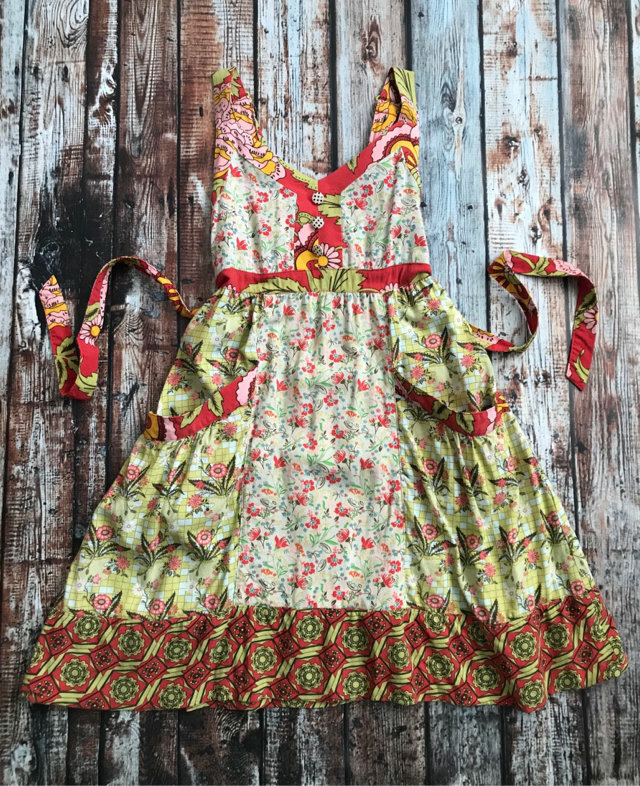 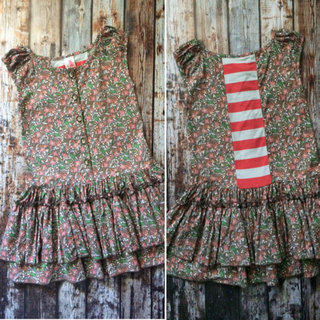 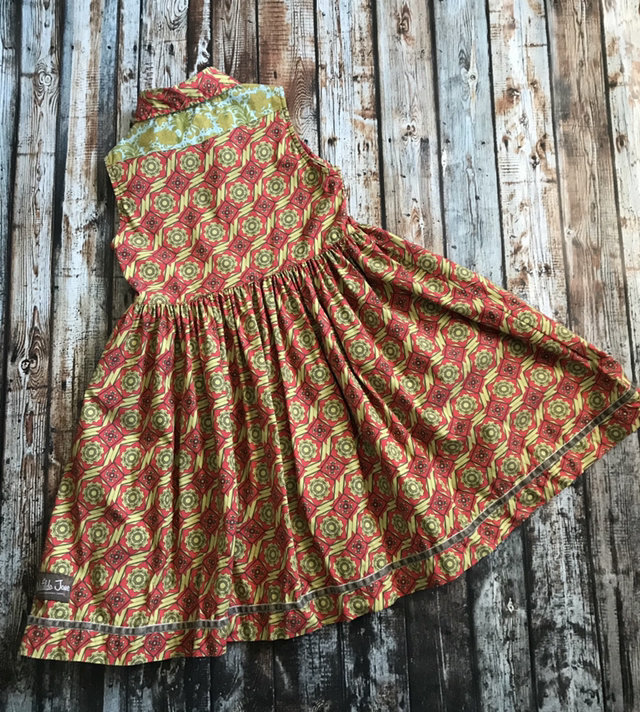 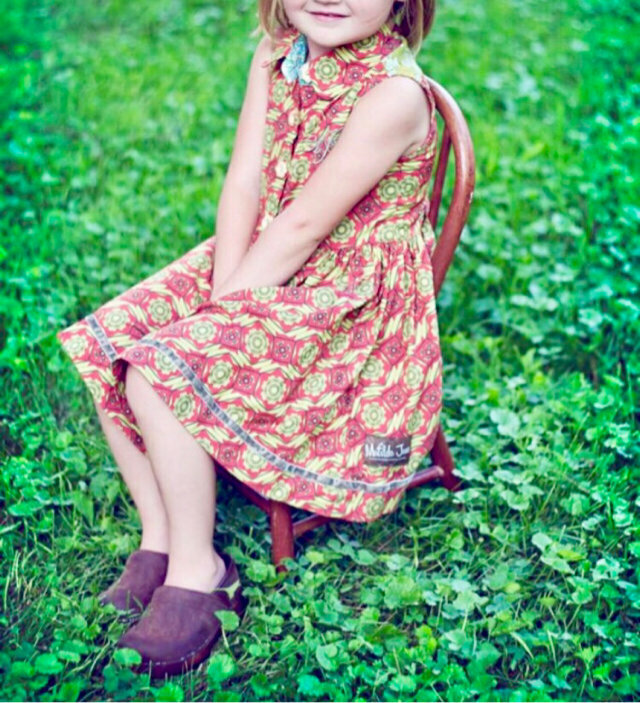 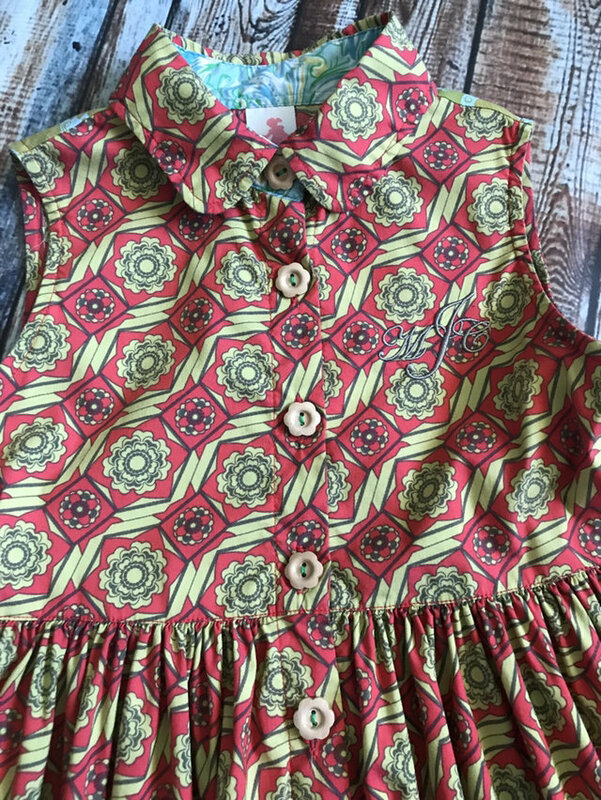 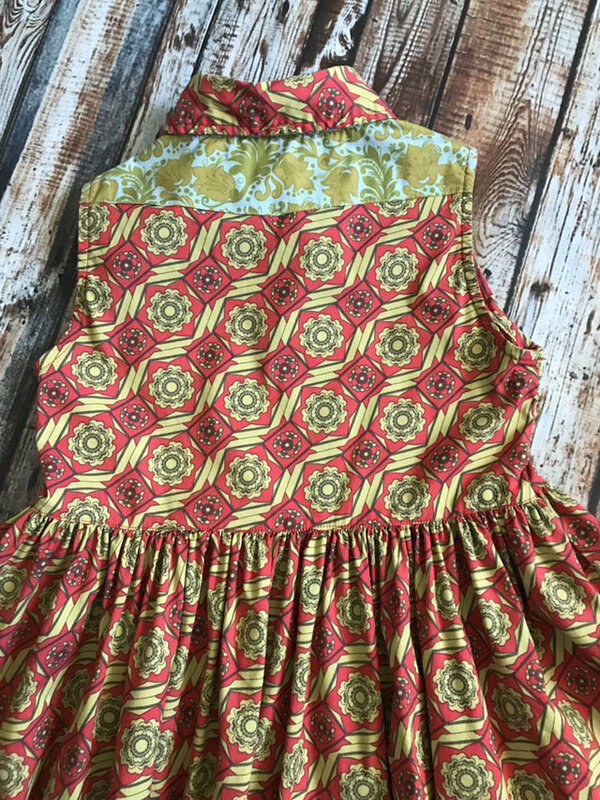 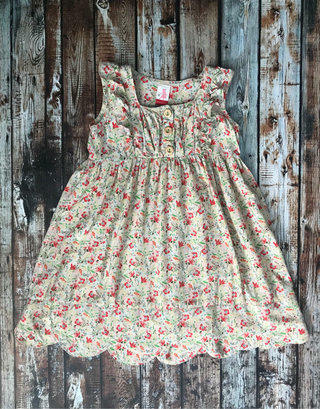 Matilda Jane Laverne Dress from the Serendipity Collection. 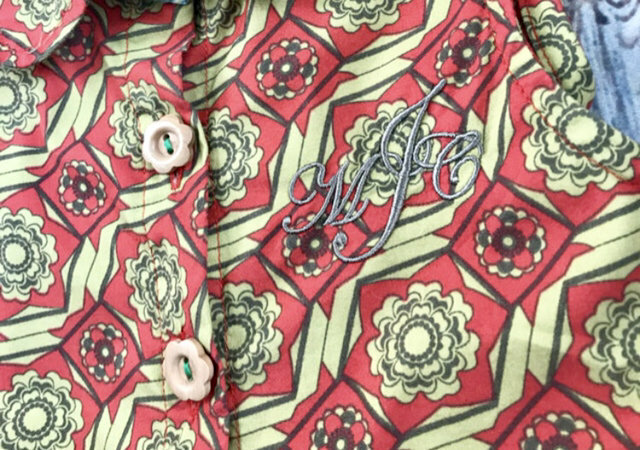 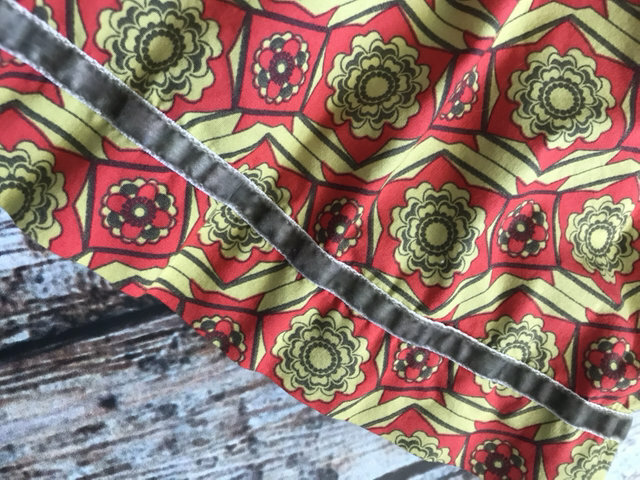 Red and green print with blue accent on the inside of the collar. 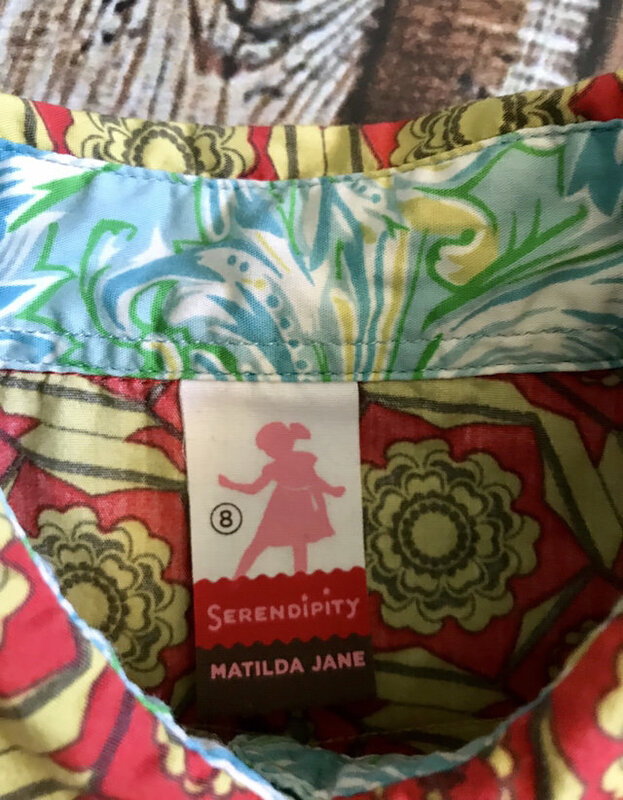 Green felt ribbon detail near hem. 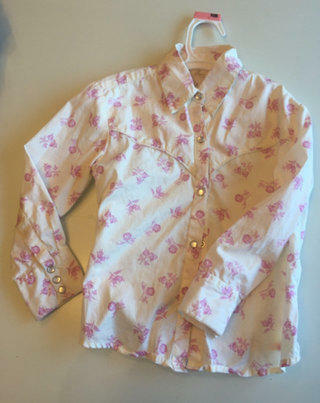 Flower button down. 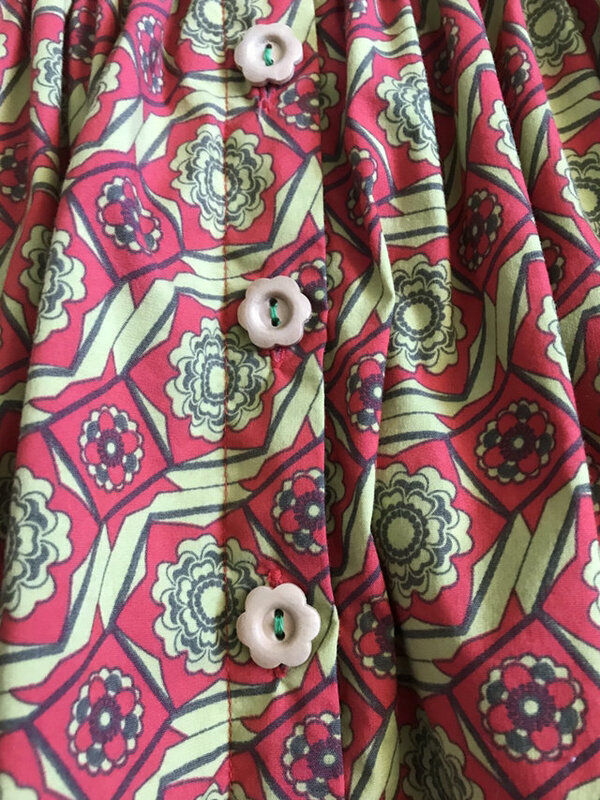 Slight #retro vibe. 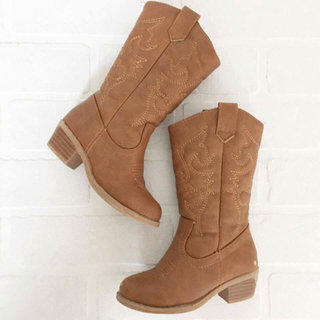 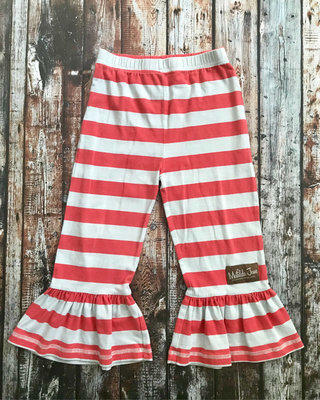 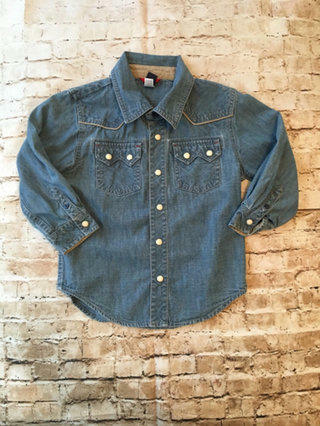 Looks amazing with cowgirl boots! 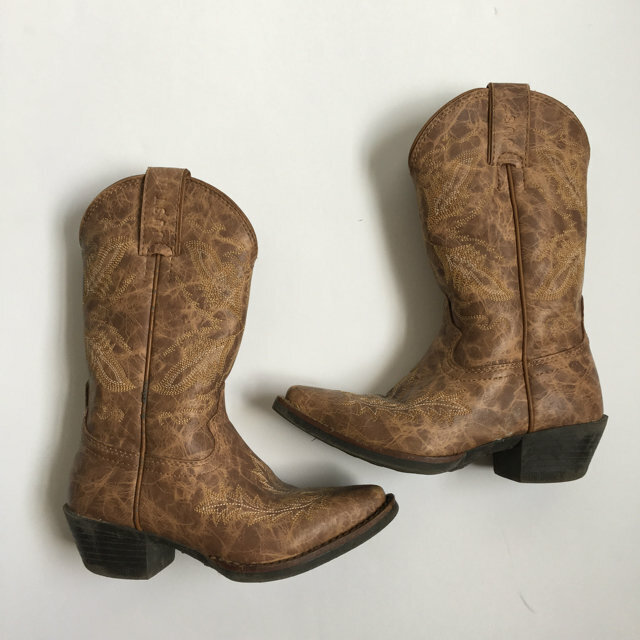 Put on your boots and take on the day!